What Is A Memory Care Home? 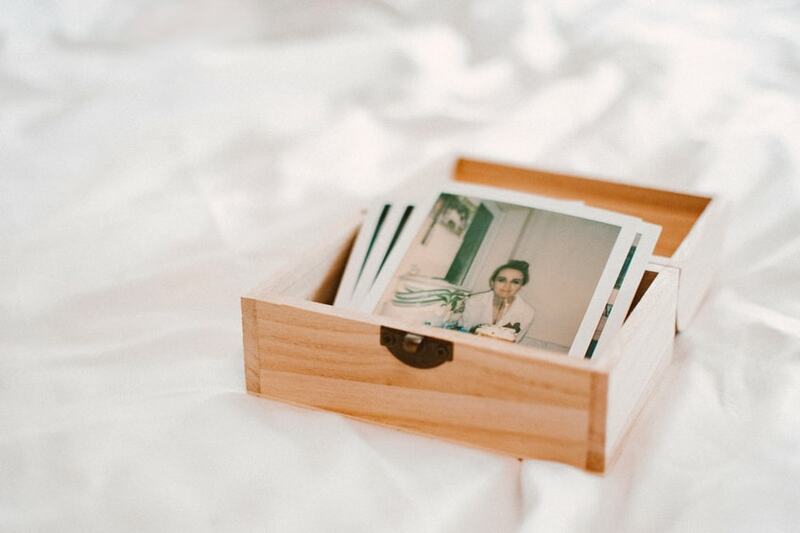 How Is Memory Care Different From Other Options? When Is It Time To Move Into Memory Care? As of 2019, more than 5.8 million people are living with Alzheimer’s disease in the United States. There are millions more who are suffering from other forms of dementia. According to the Alzheimer’s Association, someone new develops the disease every 66 seconds. With a disease so widespread, there is bound to be professional care and resources available, and in terms of senior care, all across the nation one can find memory care homes. Memory care homes are a long-term care option for seniors who struggle with Alzheimer’s disease and other forms of dementia. These facilities are specialized communities staffed with skilled professionals who cater to the needs of these individuals, a majority who are unable to live on their own. Although many assisted living facilities and nursing homes have areas that are specialized care units dedicated to memory care, memory care homes are different because they are standalone communities that focus on patients suffering from these diseases. These residencies are created and specifically designed to house patients with Alzheimer’s and other forms of dementia. The homes may be uniquely mapped out to ensure a resident’s safety and familiarity, and to maintain a good quality of life. Care coordination: Staff collaboratively assess, plan, and provide care that is consistent with current advances in dementia care practices. Staff knowledge and competency: Staff have the qualifications, skills, training, and education to assess and provide care for a patient or resident population with memory impairment. Activity programming based on abilities: Staff provides activities that match the patient’s or resident’s cognitive ability, memory, attention span, language, reasoning ability, and physical function. Behavior management: The organization emphasizes the use of non-pharmacological interventions as an alternative to antipsychotic medications. Safe and supportive physical environment: The organization modifies the physical environment to promote safety and minimize confusion and overstimulation. With brain diseases such as dementia, the person can have trouble remembering where they are, what day is it, what they were doing, what they have done, and such. Forgetfulness impairs their ability to take care of their most basic day-to-day needs for a healthy life. Memory care staff are trained to take care of these and provide assistance with: toileting, (going to the bathroom, helping with incontinence, and such) grooming, daily hygiene, bathing, getting dressed, and other basic maintenance. 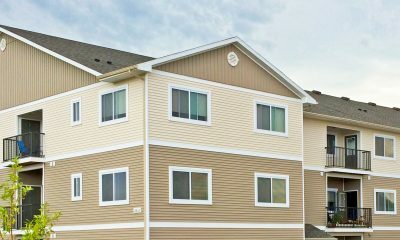 These homes will also offer dining services where residents are served three meals a day. The dining area is also arranged accordingly for dementia patients. Meals will also be planned with dietary restrictions kept in mind. In memory care centers, medical staff are available around-the-clock to support its residents and their health. The staff is trained to manage medication for patients battling dementia since many can lose their sense of time and will forget when to take their medicine. Staff members include skilled nurses and other professionals who have had an extensive medical background. Staff members also keep tabs on treatment and how the disease is progressing. Certain types of therapy are often prescribed for dementia patients as a companion to their medication. Memory care centers will have trained therapists offering various services such as speech therapy, occupational therapy, and physical therapy, and other forms of therapy to slow down cognitive decline. Dementia patients require safety and accessibility more so than residents in of other long-term care centers. These communities are designed to promote a quiet atmosphere (so residents will not be frightened or startled by loud noises), and safety. Rooms are arranged to be spacious with clear walkways, minimal clutter, and no obstructions as a way to prevent accidents from happening. Spacious rooms with wider door frames accommodate wheelchairs and ensure that residents do not feel claustrophobic.In a memory care home, residents also get personalized care from skilled caregivers. Each resident is assigned their own team of caregivers to ensure safety, familiarity, and consistency in medical services. The comfort and familiarity a resident will feel with their caregiver is one reason why personalized care is so important in memory care homes. Memory care centers also plan activities for their residents for the purpose of enriching their lives. Physicians will evaluate a patient’s condition and will develop a personal activities plan that will meet their needs. These types of communities will schedule daily social activities such as music therapy, arts and crafts, senior outings, and more. These activities are planned to be slightly repetitive as a way to help residents ease into different activities without overwhelming them with too much information. 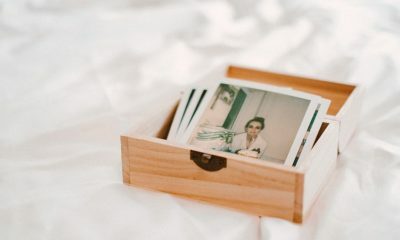 When it comes to choosing the best memory center for your loved one, be sure to ask about the specific services they provide, any additional fees, and what options you can choose for your loved one. During the earliest stages of dementia, many will experience mild cognitive impairment (MCI). Symptoms of MCI include forgetfulness and a decline in cognitive skills. Those diagnosed with dementia at this stage often find themselves at a crossroads as they begin to see the disease’s progression and find that they are unable to live on their own. Alzheimer’s and other forms of dementia progress in stages. Living with mild cognitive dementia is like living with any other disease: patients will need to take medication and need to stay active and eat well to maintain optimal levels of health. However, as the disease progresses, dementia severely impacts the wellness of an individual without the right resources and assistance. In its later stages, a person with dementia will not be able to live on their own. A person with dementia may mismanage their money, have declining hand-eye coordination, and may have problems with wandering. Depending on the stage your loved one is currently in, you may opt for different long-term care options. Here are a few one might consider assisted living or a nursing home. 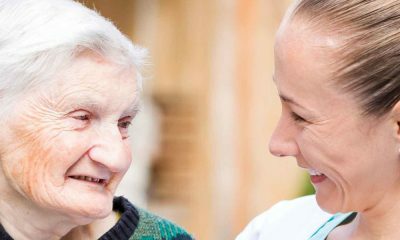 During the early stages of dementia when a person has not had other serious medical problems, an assisted living facility could be a suitable choice for a care home. Assisted living facilities are designed to make senior living easier in the day-to-day needs. Assisted living homes will primarily provides help with activities of daily living such as preparing meals, grooming, bathing, general housekeeping, and taking care of transportation and social activities. Many of these facilities will have a special care units that can help with patients with dementia and Alzheimer’s. These care units may be best suitable for those who are in the early stages of their disease or for those who have less severe symptoms. However, one should be aware that assisted living facilities will have a limited medical services, which are only available when medical staff is present. For patients with later stages of dementia and memory loss, and are dealing with other medical conditions, nursing homes are a suitable choice. These homes will provide 24/7 medical attention as well as help with eating, bathing, dressing, and other activities of daily living. 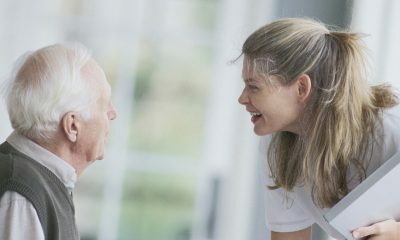 Nursing homes have trained medical staff such as registered nurses (RNs) and certified nursing assistants (CNAs) who look after the resident’s medical needs. Some nursing homes will also have specialized care units for dementia and Alzheimer’s patients with staff who receive specialized training for these diseases. These care units are generally located away from the rest of the nursing home so residents will have a safer environment. When Is It Time To Move To A Home? A time will come when your loved one will no longer be able to drive. As dementia progresses, numerous factors arise making traveling and transportation especially difficult. The situation may become dangerous when wandering behavior increases. Typical problems may include remembering routes to familiar and important destinations, feeling overwhelmed by too many people around them, increasing forgetfulness and memory lapses, physical and cognitive decline which impacts mobility, slower reactions and responses to stimulus, loss of vision and perception, difficulty hearing, confusion, difficulty communicating, and inability to make quick decisions. As symptoms progress, those who struggle with forgetfulness and memory may themselves in difficult financial circumstances. Signs such as overspending, forgetting to pay bills, and erratic behavior when it comes to their personal finances can be a warning sign that your loved one may need help. Be watchful of how your loved one is managing their finances, as dementia leaves them vulnerable to risks such as financial abuse and elder abuse. In a normal situation where a person is forgetful, they may miss a schedule appointment because they forgot what time and day the appointment was set. In a nontypical situation where dementia may be progressing, a person can forget their own name or have difficulty remembering the directions to their house. Severe forgetfulness can become dangerous if the senior is in a location they no longer recognize or go missing because of wandering behavior. If your loved one has been diagnosed with dementia but currently lives with you, note if there are other problems that arise. For example, if your loved one accidentally locks themselves in a room that cannot be opened from the outside, which can endanger them if they are having memory issues. Another problem would be if your loved one forgets to take their medication or takes their medication too often, which can increase the risk of overdosing. Should you notice any of these signs, it is time to consider where your loved one can have the appropriate care they need for a safe and healthy life. Moving them into a care home would be the best way for them to receive around-the-clock support for their personal care and medical needs. Since memory care is a form of specialized care, the costs tend run higher than other forms of long-term care such as nursing homes or assisted living. The average monthly cost for a memory care home is around $5,400 in the United States. Although this number is the national estimate and average, the actual monthly cost of a memory care home can vary from state to state, with costs anywhere from $3,700 and $7,000 per month. With numbers this high, many people look for financial assistance from government programs such as Medicare and Medicaid. However, these programs have limitations that may force you to find alternative financial assistance. A lot of people wonder whether or not Medicare will help pay for the cost of a loved one being in an assisted living facility and the answer is actually no. Medicare is for those who are 65 years old or younger if they receive disability benefits. In most cases, Medicare will not cover the expenses that come with long-term care and assisted living facilities. There are certain facilities however, that your loved one can stay in that qualify for medical cost help from Medicare. For the most part Medicare will not cover any “custodial care” costs but there are always exceptions and circumstances that allow for coverage. Medicare can be used to cover care that follows hospital stays, prescription home health care, physical, speech and occupational therapy, as well as short-term care. It will also help pay for medical equipment with the intention that it is for home use. Medicare will also cover hospice care in some cases such as someone with a terminal illness diagnosis or it their life expectancy is around six months or even less. Since dementia and Alzheimer’s disease falls under the same category as other health conditions like cancer or heart disease, Medicare may cover certain costs for treatment. Under certain circumstances, the program will cover doctor’s fees as well as up to 100 days of skilled nursing care. Medicare Part D can also cover prescription drugs for Alzheimer’s disease. Medicaid is a joint insurance program funded federally and by the state but is administered at the state level. This means that each state has different policies for their Medicaid program. Medicaid covers the medical costs of low-income seniors and people with disabilities. If you qualify for your state’s program, Medicaid can cover up to 100 percent of your costs for home care and stays at a nursing home. Many people end up paying for memory care out-of-pocket or through long-term care insurance. If you decide to pay out-of-pocket, talk to the chosen facility about payment cycles and they’ll help you chose the most appropriate method for you. To read more information on how to cover the costs of senior care, read our articles on our Help and Advice page, and stop by our blog.